Try this tasty burger this weekend. If you can't find smoked Gouda, use another pungent cheese such as havarti, boursin, pepper jack or Asiago. 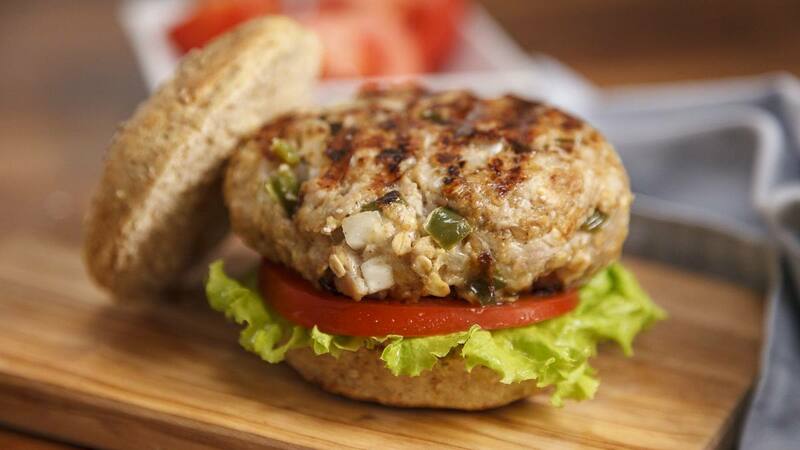 Watch: Smoked Gouda poblano turkey burger. Journalists: Broadcast-quality video (1:14) is in the downloads. Nutritional information per 1 burger: 453 calories; 14 g total fat; 8 g saturated fat; 0 g transfat; 0 g monounsaturated fat; 85 mg cholesterol; 821 mg sodium; 46 g total carbohydrate; 7 g dietary fiber; 2 g total sugars; 43 g protein.